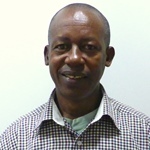 William Muhumuza is an Associate Professor at the School of Social Sciences at Makerere University (Kampala, Uganda). With ESID, Professor Muhumuza is working on the Politics of regional inequality in sub-Saharan Africa research project, focusing on Uganda. His research specialisms are in the fields of political science and the political economy of development, governance and non-state actors. Bukenya, B. and Muhumuza, W. (2017). ‘The politics of core public sector reform in Uganda: Behind the facade‘, ESID Working Paper No. 85. Manchester. Muhumuza, W. (2014). ‘Rebuilding communities after conflict: The role of non-state actors in the Rwenzori Region, Uganda’, African Journal of Economic and Sustainable Development, 3(2): 117-140. Smoke, P., Muhumuza, W. and Ssewankambo, E. (2014). ‘Uganda: Decentralization reforms, reversals and an uncertain future’, in J. Tyler Dickovick and James S. Wunsch (eds. ), Decentralization in Africa: The Paradox of State Strength, Boulder, CO: Lynne Rienner Publishers, pp.229-248. Muhumuza, W. (2013). ‘The performance of decentralization and public sector accountability reforms in Uganda’, in Paulos Chanie and Paschal B. Mihyo (eds. ), Thirty Years of Public Sector Reforms in Africa: Selected Country Experiences, Addis Ababa: OSSREA. Visit William’s Makerere University staff profile. Read our Spotlight on William Muhumuza on the blog.